Home » cake » christmas » tradition » treats » Buon Natale! 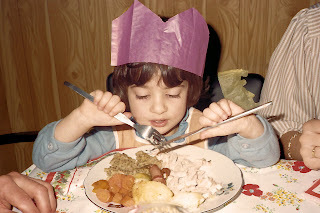 Ah, the eating feast that is Christmas. The one time of year that elasticated waistbands are acceptable. Despite my Italian heritage, Christmas round ours has always been a mainly English affair, despite the lack of the cuisine throughout the rest of the year. But the thought of a sprout-less, turkey-less and christmaspud-less dinner is unthinkable. Christmas Eve for the Italians differs from region to region (as does most things) but in our neck of the woods eels and baccalá (a dried cod packed in salt, no matter how much you soak the thing it still remains salty) are served. We love it so much we named one of our mountains after it! I remember when my aunt and uncle came down from Essex for Christmas back in the day, they would bring down a bucket of live eels. Imagine looking into your bath as a four year old and seeing a swarm of wriggling black eels! Christmas day sees better fare (in my opinion!). They normally serve a lasagna and follow it with a capon, potatoes and salad. Don't get me wrong, I love Italian food (every other day of the year). It's like a member of the family. Despite our English adoption of the main feast we never go without a huge glut of traditional Italian sweets and cakes. Deep fried ravioli with a chickpea and chocolate filling (Cagionetti they are called. I've always known them as "i cegi" but that's the crazy dialect for you), pastry bows dusted with icing sugar, almond torrone and of course the vital, fragrant panettone are always made room for. Oh, and the other thing we don't have is Father Christmas. We have a witch, La Befana, who comes along on her broomstick on the night of January the 5th to fill stockings with gifts and sweets (for the good ones! ).